For those of you craving NBA basketball, you’ll have to wait a few more months before you can get your proper fix. But if it’s any consolation prize, at least you no longer have to wonder when the best matchups are taking place. That information is now public knowledge. 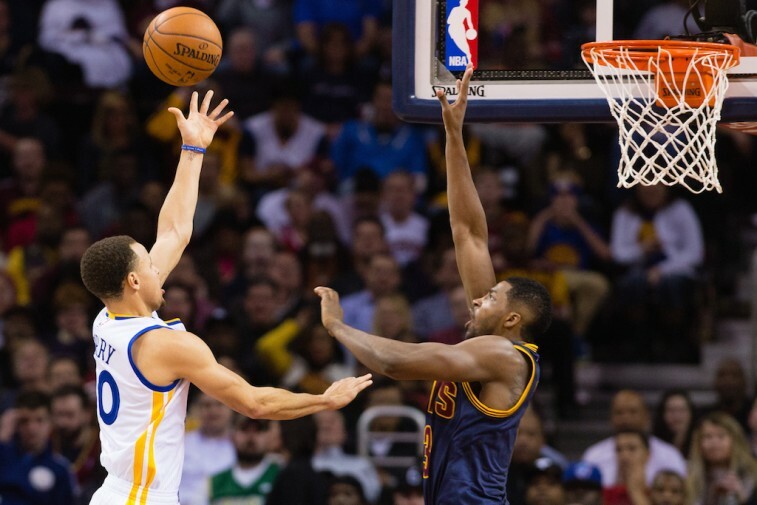 On Wednesday, the National Basketball Association, to the delight of fans everywhere, officially released the schedule for the upcoming 2015-16 season. Normally we’d be the first ones to look it over and find some reason to be hyper-critical over how the games are laid out. But not this time. This time, the league hit nothing but net. The 2015-16 season will feature some incredible games. The opening night is spectacular. And it only gets better from there. Throughout the season, there will be plenty of grudge matches, uncomfortable homecomings, and games that will cause incredible uproar. There’s no reason why the upcoming NBA campaign shouldn’t be awesome. Of course, while there are tons of great games scheduled for next year, there are always those matchups that can’t help but stand out as “can’t miss” affairs. These are the games you should immediately circle on your calendars. These are the showdowns where amazing is most likely to happen. And we’re here to help keep you informed. With that in mind, in order of when the contests are being played, here’s a look at the ten most anticipated games of the 2015-16 NBA Season. The 2015-16 NBA season kicks off with LeBron James and the Cleveland Cavaliers heading to Chicago to take on the Bulls. It’s always a slugfest when these two teams get together. It’s even better when all parties involved are healthy (cough Derrick Rose cough). We love how it’s happening right off the bat. Best of luck to Fred Hoiberg in his first game as the new Bulls head coach. He’s going to need it. The Golden State Warriors get their championship rings, a banner is raised into the rafters of Oracle Arena, and the fans get see Anthony Davis — now under the guidance of former Dubs assistant Alvin Gentry — face off against reigning MVP Stephen Curry on opening night. We just got chills. 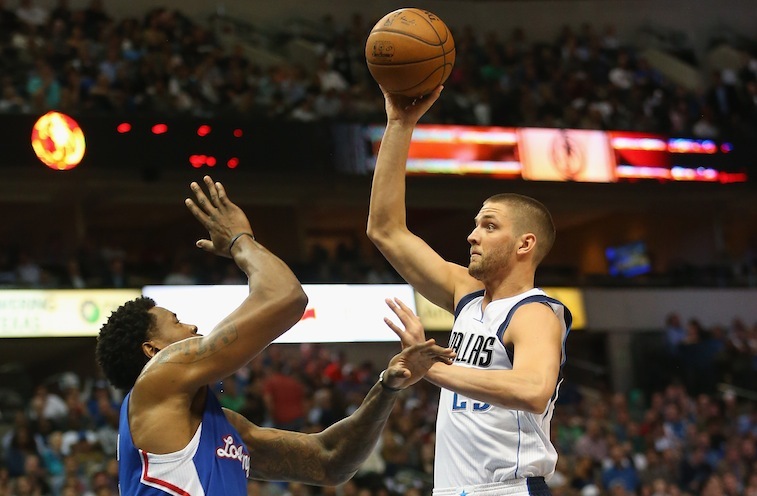 Expect a hostile environment when the Clippers and the Mavs duke it out in Dallas. After DeAndre Jordan’s (above left) embarrassing about-face during this summer’s free agency period, we have a feeling Mavericks fans will not be welcoming him into American Airlines Center with open arms. For the first time in his career, LaMarcus Aldridge will be playing in the Moda Center as a member of the visiting team. We’re sure it was difficult for the All-Star to leave the only organization he’s ever known for San Antonio. Just not as difficult as it will be for Trail Blazers fans to see their former power forward in a Spurs jersey. 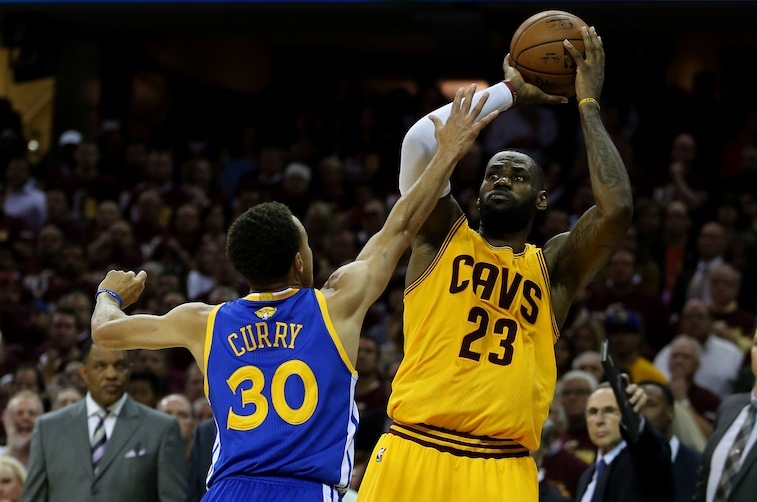 Christmas continues to bring gifts, as the Cavaliers head to Golden State for a Finals rematch with the champion Warriors. Kyrie Irving said Cleveland would’ve won the series had the team been completely healthy. Time for the former Duke Blue Devil to put his money where his mouth is. Speaking of Irving, who could forget the game he had when these two clubs met up on March 12 of last season. In a contest that wound up going into overtimes, the Cavs beat the Spurs 128-125 on the back of a 57-point explosion from the one and only Uncle Drew. Please, oh please, let history repeat itself. When healthy, the Oklahoma City Thunder are one of the best teams in the entire NBA. They’ll get a chance to prove it on February 6 when they go up against the defending champs on the road. Will Curry be cooking or will Russell Westbrook be too explosive for the Dubs to handle? Tune in for yourself to find out. LeBron James vs. Kevin Durant. Is there really anything left to say? This game could very well be a battle for Western Conference supremacy. Have the Spurs done enough this offseason to compete with the best team in the NBA? How will Golden State handle the new-look Spurs on the road? This will be a can’t-miss game. 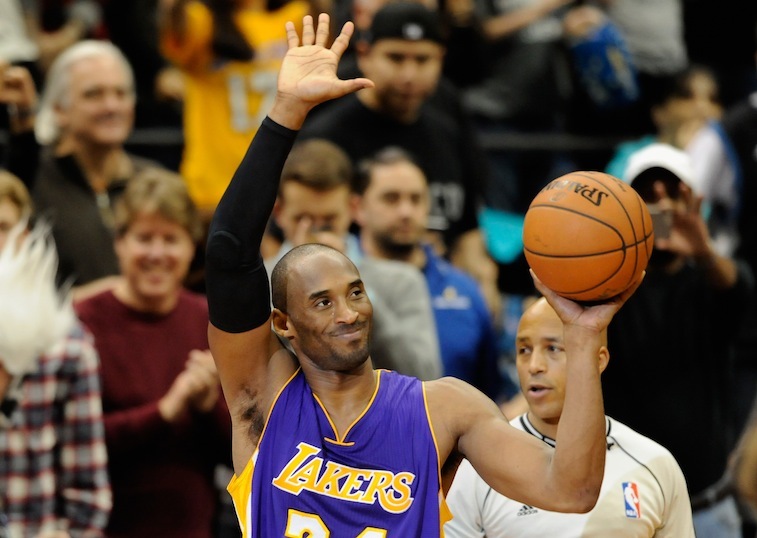 We don’t know yet if this is going to be Kobe Bryant‘s last season. However, if he does decide the time is finally right to call it a career, this will be the last time he takes the floor in the NBA. Granted, the Lakers could shock the world and make the postseason. We just wouldn’t bet on it. So, barring any injuries, this is it for one of the game’s greatest players. One last time to light it up at the Staples center. You can’t miss that one. All statistics and info courtesy of Basketball Reference.com, ESPN.go.com, and NBA.com.